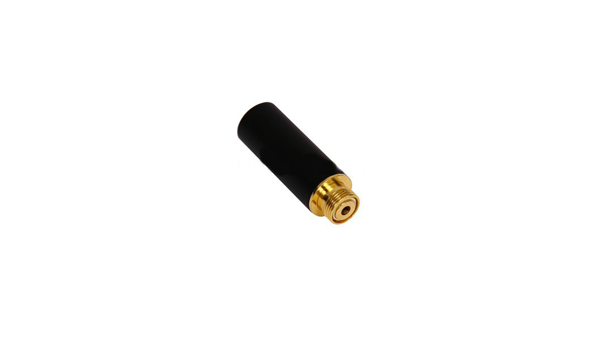 A low resistance (LR) electronic cigarette atomizer are about 1.5 Ohm and are used with 3.7 volt 420mAh or greater batteries. These will work with the Joye eGO or other mod devices with large capacity batteries. Do NOT use with regular or Joye 510 mega batteries. These LR atomizers may significantly reduce the lifespan. From my personal experience, if you don’t direct drip with the LR’s, it’s like putting a ball of fire in the back of your throat. When you drip with the LR atomizer, you get great results. Nice, smooth and thick vapor. Aside from that, another great thing about using an LR atomizer is that it’s great for lowering your nicotine intake. For example, if you are used to vaping a 24mg of nicotine, you will probably end up moving down to 18mg. As you can see, a low resistance atomizer gets you very close to the experience of vaping with a 5V battery, without the enormous size and prohibitive cost. More vapor makes for a more satisfying experience, and a low resistance atomizer is the easiest way to produce massive amounts of vapor from a standard electronic cigarette battery. This has led to an explosion in demand for low resistance atomizers, and many electronic cigarette companies now provide them. RE: From my personal experience, if you don’t direct drip with the LR’s, it’s like putting a ball of fire in the back of your throat. What other than direct dripping were you doing with your LR’s? Carts? Yes, I was using cartridges and it was awful ! I dislike carts and carto very very much. That is all.